In our last post, we teased you with a short video announcing the arrival of our vlog. Well, here is the first, of hopefully many more vlogs to come! We hope you enjoyed the sneak peek into our shop! We will be bringing more videos in the coming months. Be sure to sign up for our newsletter to stay on top of all Uncommon Objects news and all future vlog episodes. In other news of note, the fantastic blog, Rock n’ Roam visited our shop and sat down with Uncommon Objects owner, Steve Wiman for an interview. Loads of beautiful photos, interesting tidbits, and find out which celebrity was in the shop while the interview was taking place! 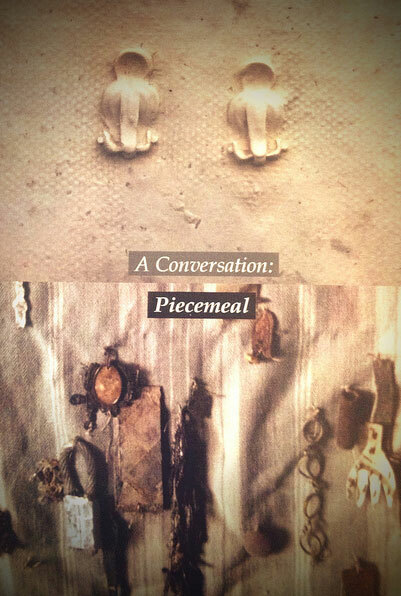 Steve and artist, Jill Bedgood will have an exhibition titled, “A Conversation: Piecemeal” on August 1, 2013 at UTSA’s Satellite Space. As mentioned, the opening reception is August 1st from 6PM – 9PM, with the show running until August 18th. Please visit UTSA.edu or call 210-458-4391 for more information.